Published on July 21, 2014. 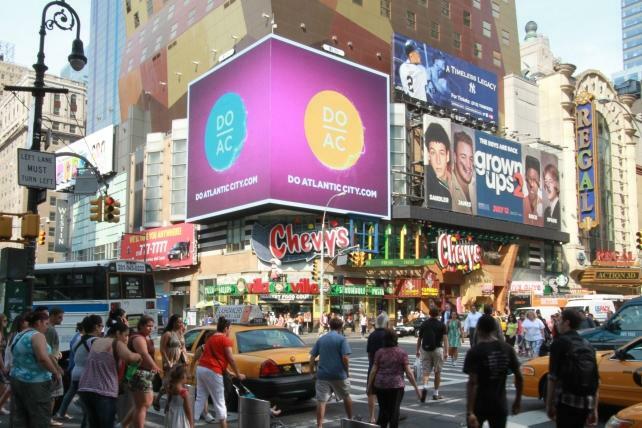 CBS Outdoor digital signs in Time Square. CBS Outdoor Americas, the billboard company spun off from broadcaster CBS Corp., has agreed to acquire some advertising assets from Van Wagner Communications for $690 million in cash, the company said today. CBS Outdoor is buying about 1,100 large billboard displays in 11 U.S. markets, according to a statement. The deal requires regulatory approval and is expected to be completed next year. CEO Jeremy Male said earlier this year that CBS Outdoor intends to acquire smaller billboard companies as it competes with Lamar Advertising and Clear Channel Outdoor Holdings. The assets acquired from closely held Van Wagner generated $206 million in revenue last year, CBS Outdoor said. "This deal might spark further consolidation in the outdoor advertising sector," said Paul Sweeney, an analyst at Bloomberg Intelligence. "CBS Outdoor, Clear Channel Outdoor and Lamar Advertising together control more than 85% of the industry's revenue but there are still several regional companies that can be rolled up." CBS Outdoor raised $644 million in the IPO including the over-allotment and has converted into a real estate investment trust. Last month, CBS Corp. took the final step in the spinoff of the billboard company, with a plan to fully divest its 81% ownership. REITs have become a popular tool for companies to lower taxes and improve returns for investors. REITs don't pay federal income taxes and are required to distribute at least 90% of taxable earnings as dividends. By splitting off from CBS and becoming a REIT, the business will have the ability to buy competitors in the 25 biggest U.S. markets and convert more locations to more-profitable electronic signs, Mr. Male said in March.